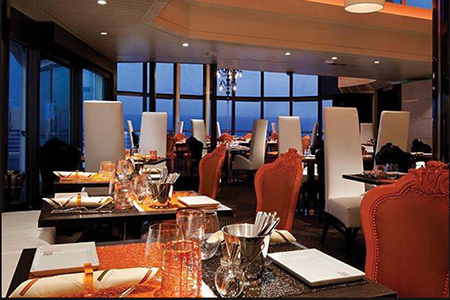 While the piano music softly plays, enjoy world-class dining and the spectacular views from your table. The award-winning cuisine is always prepared from scratch with fresh ingredients. 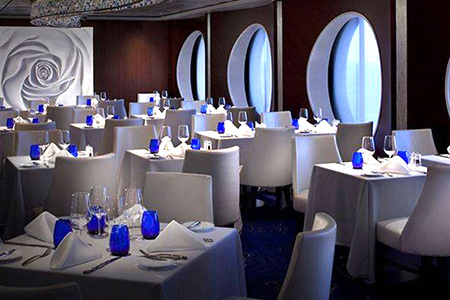 This specialty restaurant is the exclusive dining venue for all AquaClassSM guests, serving healthy fare in a sophisticated and soothing atmosphere. 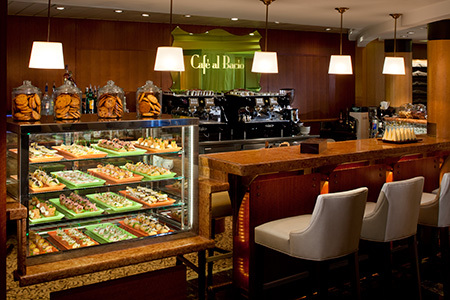 With ocean views and a central location, this European coffee house offers a selection of specialty coffees, tasty liqueurs and freshly baked pastries. 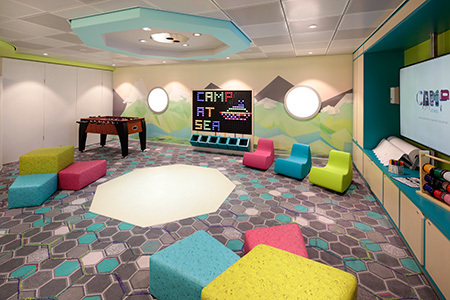 Camp at Sea is open to children ages 3-12, and supervised by fully trained youth staff, with plenty of games to play and activities to take part in. 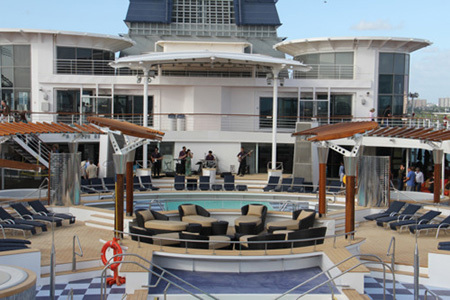 X Club is where cruisers ages 13-17 can cut loose and kick back the way they want in the hip VIP area, with a dance club and coffee lounge designed with teens in mind. 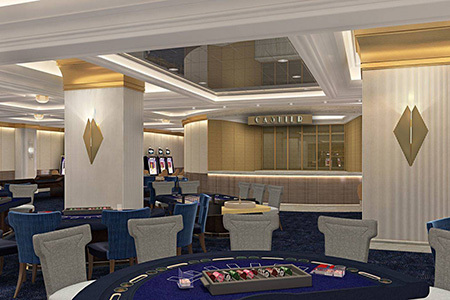 With Lady Luck by your side, spin the roulette wheel or play the slot machines in this tastefully decorated casino. 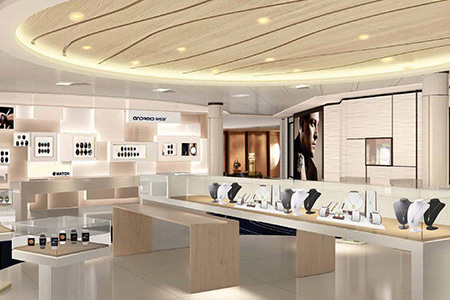 Celebrity iLounge is a chic Internet caf that's also the first Authorized Apple Reseller at Sea. 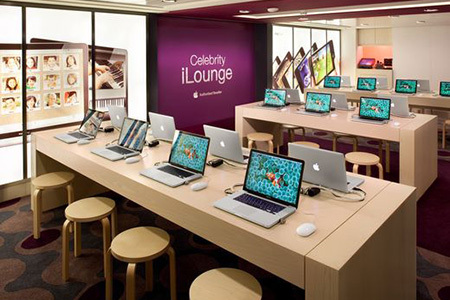 You'll find state-of-the-art workstations featuring MacBook Pro laptops and iMac desktops. Certified staff will help you master the latest audio and video products. 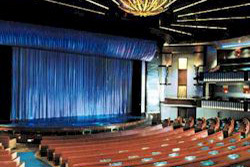 The stage comes alive in the state-of-the-art three story theater with dazzling special effects and Broadway-style productions. Reminiscent of a Napa Valley tasting room, this stunning wine bar is the place to try a new vintage or become reacquainted with an old favorite. Also inside is the state-of-the-art, Italian-designed Enomatic wine system. 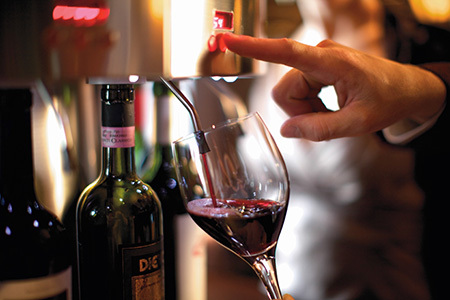 Select from 32 choices and serve yourself the perfect glass of wine - at the touch of a button. 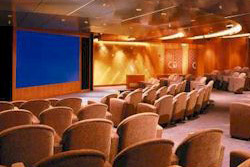 The Cinema offers a comfortable place for watching movies and is also ideal for business conferences. The center's advanced capabilities include multi-lingual translation using a wireless transmitter and headsets, interactive audience keypads and multi-media audio/visual systems. 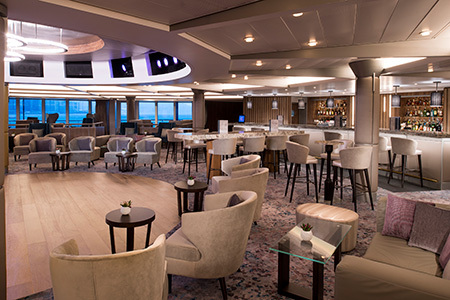 Enjoy spectacular views from this observation lounge, with floor to ceiling windows where you can also dance under glowing lights in the late-night disco. 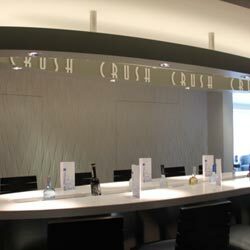 Adjacent to the Martini Bar, Crush is an intimate alcove with spectacular vodka and caviar pairings on an ice-filled table. 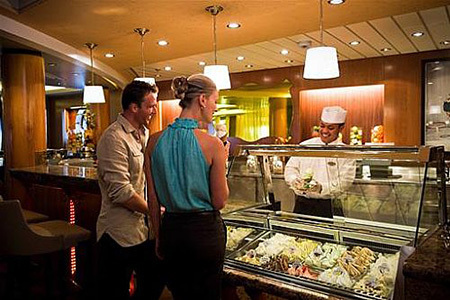 Adjacent to Cafe al Bacio, the Gelateria offers a variety of Italian ices and gelatos prepared with an artistic touch. The stunning foyer greets you with a under-lighed spectacular onyx staircase, marble floors and the first panoramic oceanview glass elevators at sea. 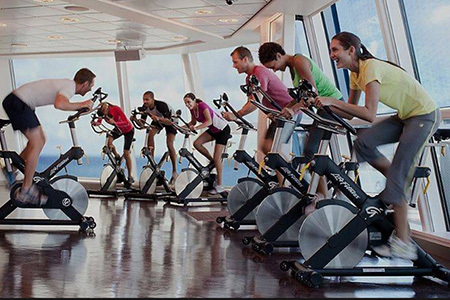 You'll also find Guest Relations and the Shore Excursion deck here. Envelop yourself in warmth and comfort as you curl up with a book or magazine offered in many languages, or enjoy a classic board game. 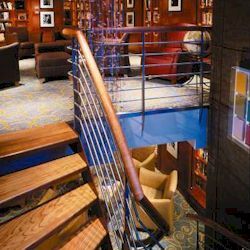 The library at sea offers a luxurious quiet spot anytime you need it. Luminae offers Suite Class guests new menus for the venue's complimentary breakfast, lunch and dinner. 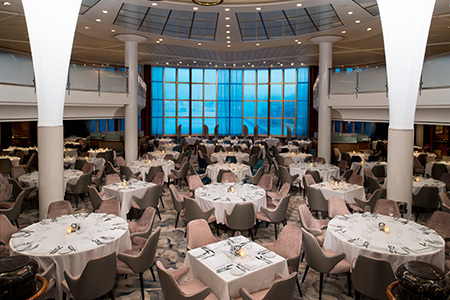 Each menu item is only featured once during a two-week cruise vacation, and spotlights locally sourced regional and seasonal ingredients inspired by the destinations to which Celebrity sails. With an atmosphere inspired by ice and snow, the Martini Bar is an absolute must-visit for its hip and classy feel. 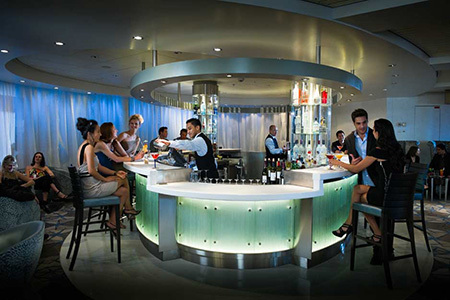 Swing by The Martini Bar and grab a drink before dinner or make a night of it. This bar has a vibe like no other, which makes it the perfect spot to chill out with friends. 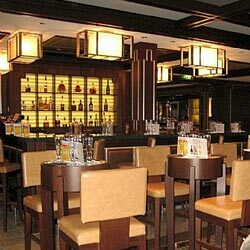 At Michael's Club you will find over 50 varieties of premium brews from all over the world. Of course there are interesting English Ales in addition to lagers, lambics, ciders, wheat beers, and seasonal beers. There are even some beer cocktails. You can sign up for a class to learn how to pour the perfect draft, enjoy a tasting of distinctively different beer styles, learn beer and food pairings or compete in a tasting challenge to test your beer knowledge. 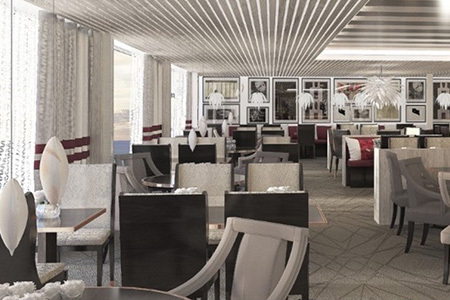 This casual dining area includes a pasta bar, freshly made pizza, grilled steak, hamburgers and much more. 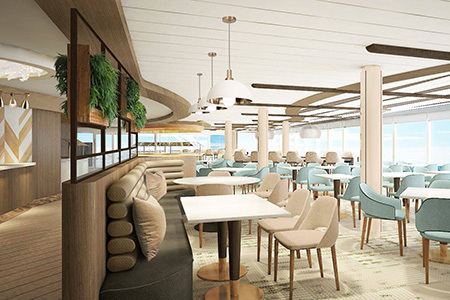 You can dine under the skylights in the caf or at the outside grill's teak bar with translucent awnings. Enjoy your day lounging by the pool. Relax with a book, or have a bite at the grill. Enjoy the serenade of the music from the bandstand and dance your heart away on the dance floor. For a refresher, take a dip in the pool or rejuvenate in the whirlpool. Qsine strives to awaken your palate through a playful and whimsical approach to familiar and memorable dishes from around the world. The food is artfully presented, without traditional courses and intended to be shared, with each dish arriving as soon as it's ready. 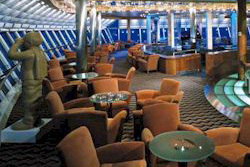 The ideal meeting place, the Rendezvous Lounge offers you quiet niches and plush, comfortable seating. 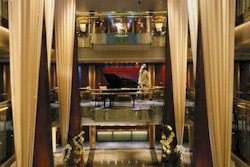 The lounges above overlook the Rendezvous dance floor & stage. 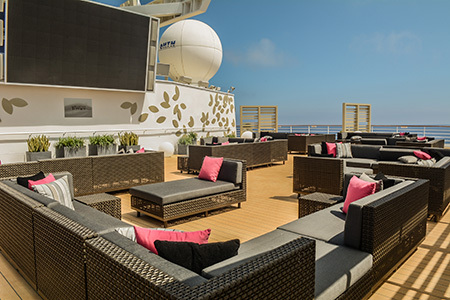 Guests can kick back and catch an al fresco flick with a cocktail at the Rooftop Terrace. Celebrity's "A Taste of Film" is a multi-sensory experience that fuses Celebrity's award-winning cuisine with acclaimed films. 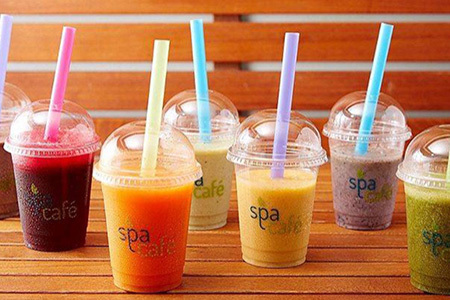 With a menu that features delicious, light, health-conscious fare, the Spa Caf is a great way to reward yourself any time of day or night. Try our modern luxury take on traditional Japanese fare. Take the opportunity to try the premium, super-premium, and specialty sakes - selected by our sake sommelier. Ask for fresh wasabi, if you dare. It's rare to find the real thing. 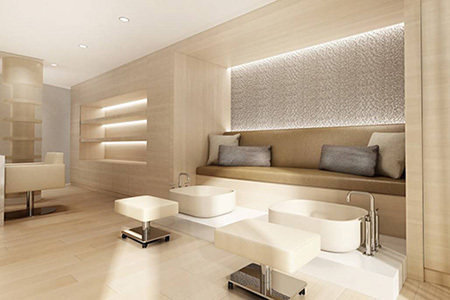 The Spa at Canyon Ranch offers indulgent services and treatments. Enhance your vacation with a complete wellness and lifestyle program that restores serenity and will leave you feeling rejuvenated. 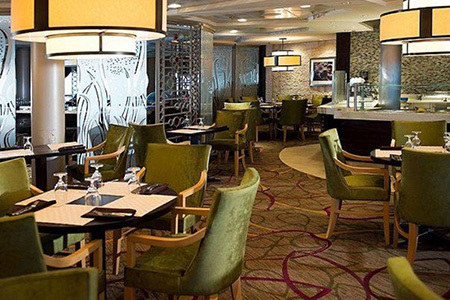 The ultimate grill experience at sea is what you'll find at Tuscan Grille, a modern twist on a traditional Italian steak house. 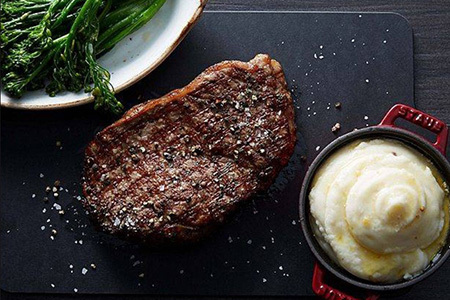 Artisanal regional foods and USDA dry aged steaks. Pastas made fresh in house. A unique, Italian cocktail menu and a wine list that highlights the wine growing regions of Italy.